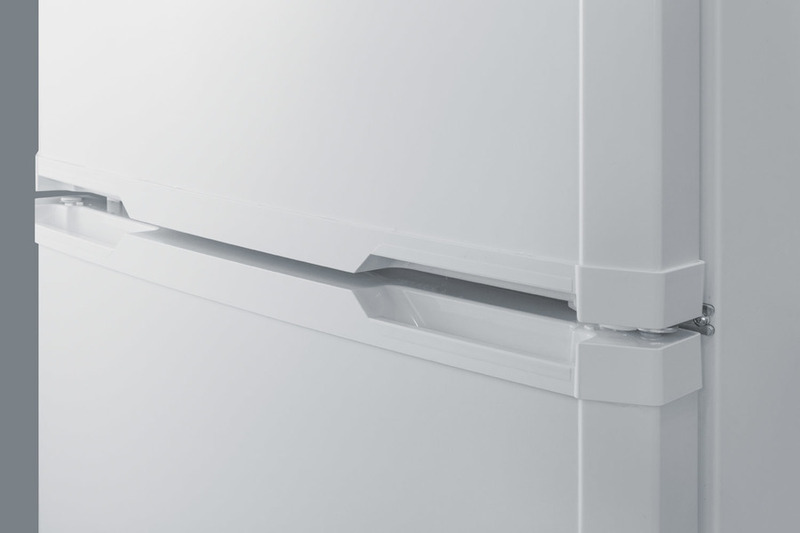 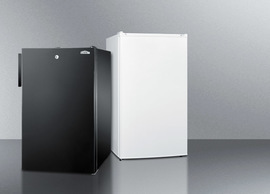 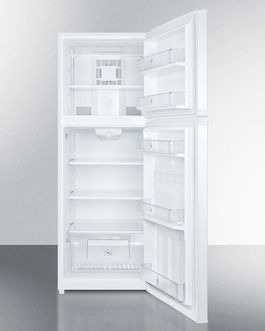 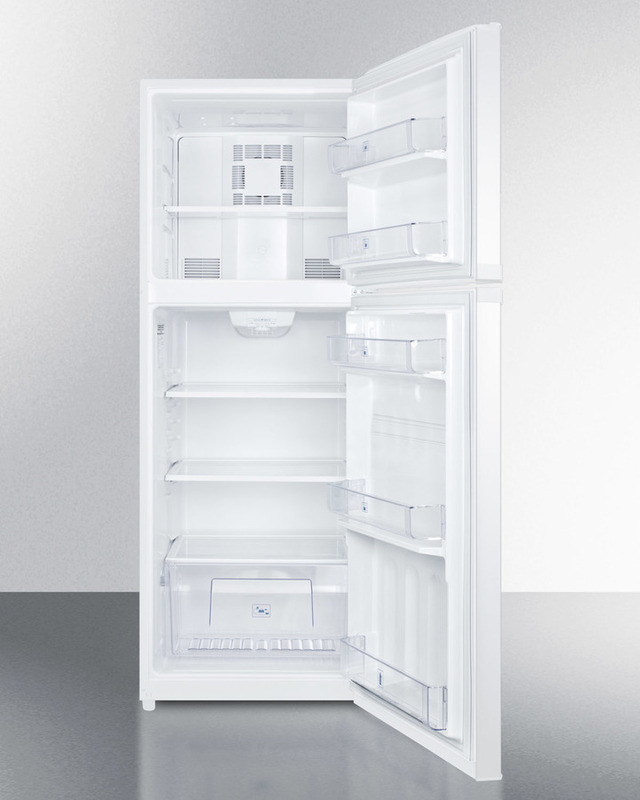 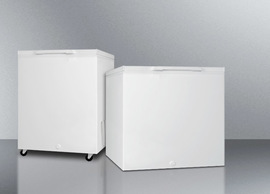 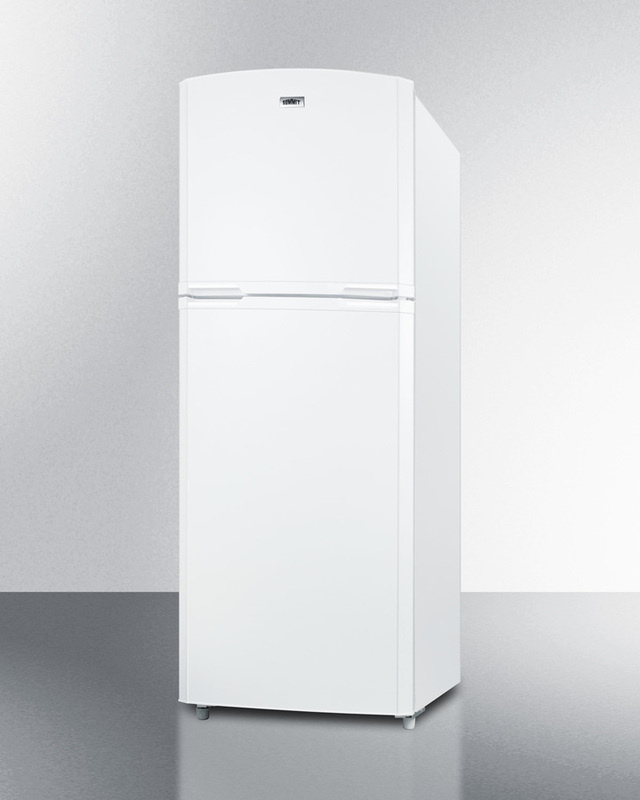 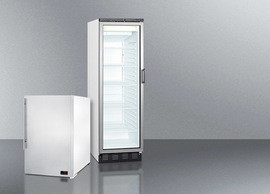 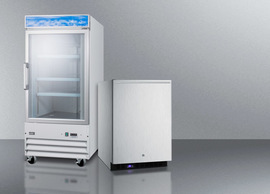 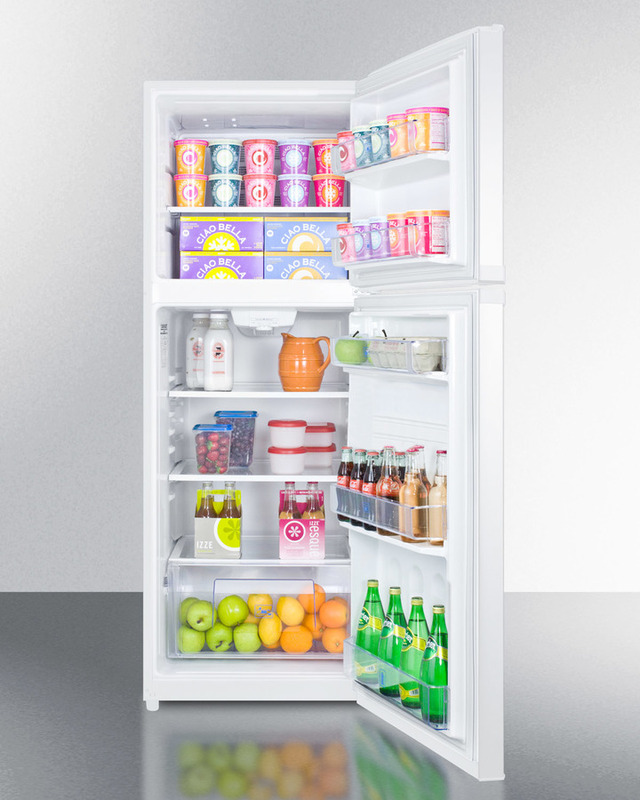 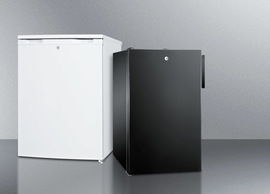 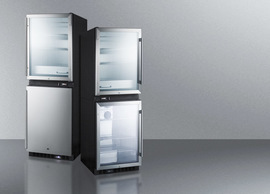 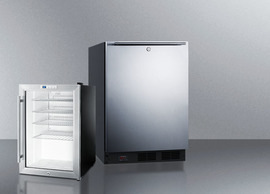 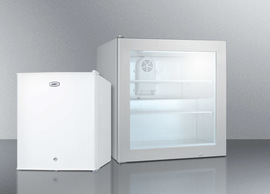 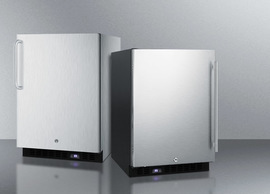 The FF1427W is a counter depth refrigerator-freezer ideal for use in apartments and other kitchens with space limitations. 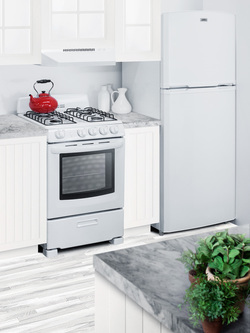 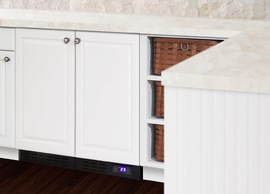 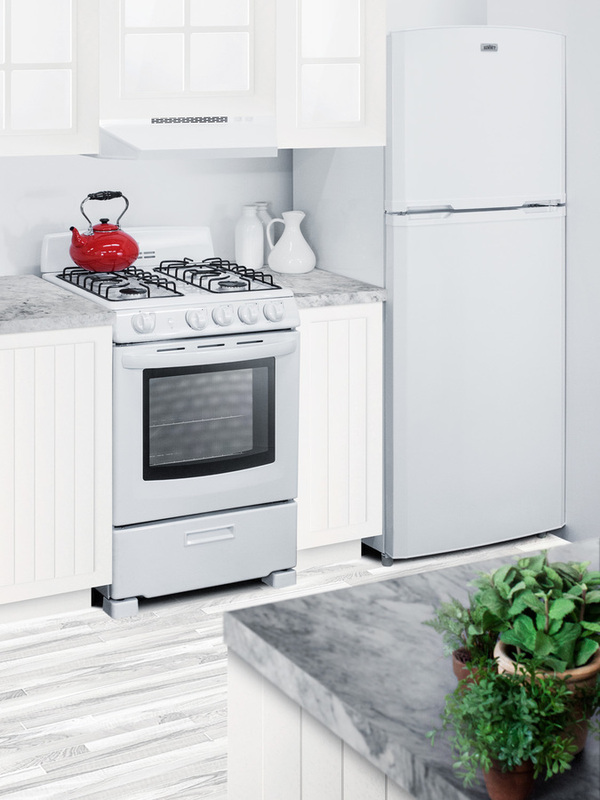 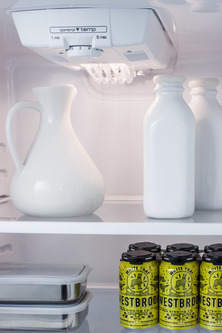 It features a classic white exterior finish perfect for any kitchen,with nearly 13 cu.ft. 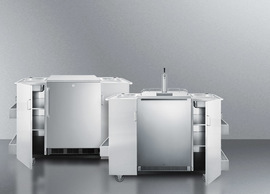 inside the unique 26" footprint. 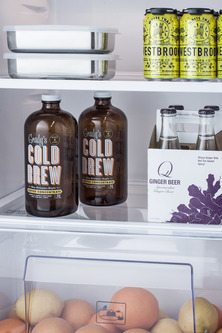 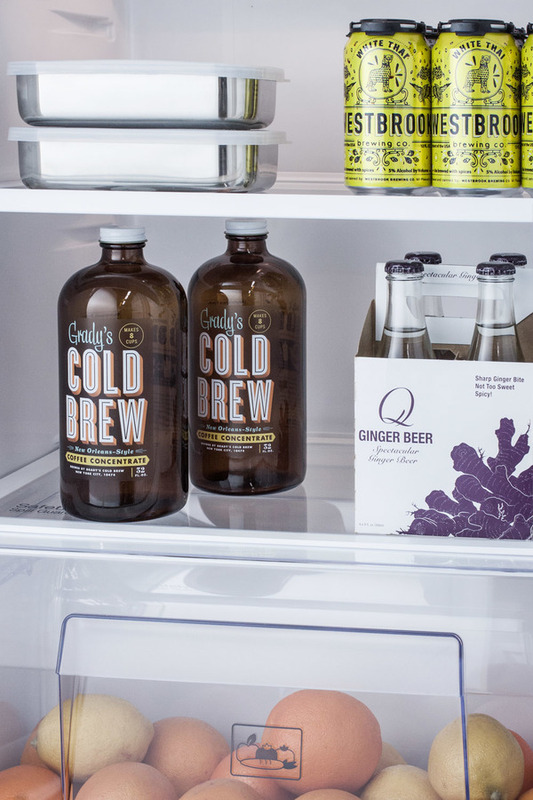 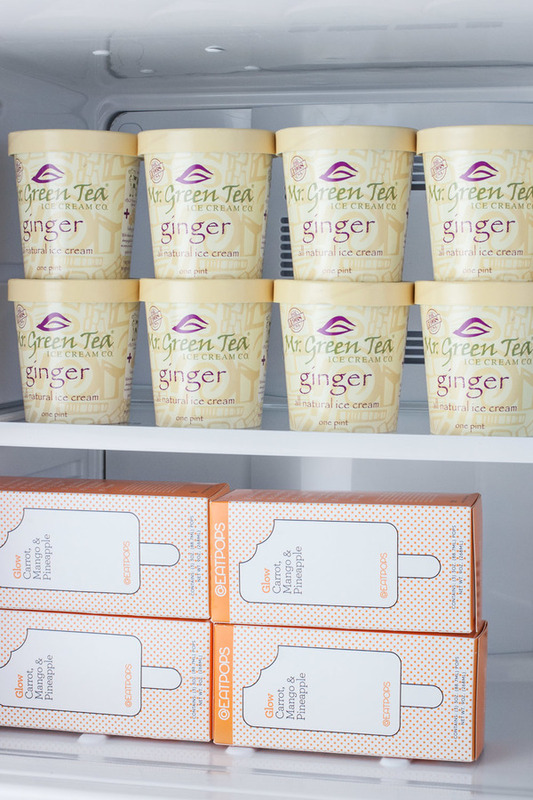 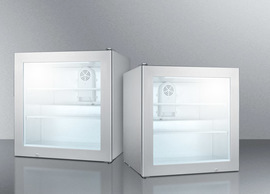 The frost-free interior includes adjustable glass shelves and door storage in both compartments, as well as an interior light and large crisper drawer in the fresh food section. 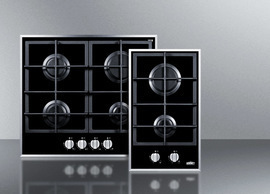 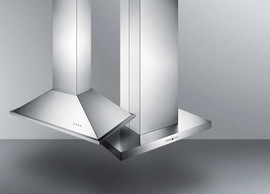 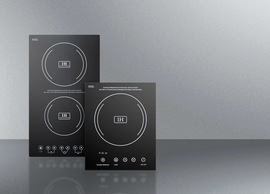 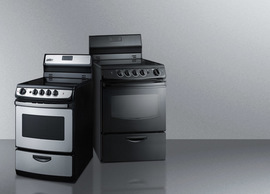 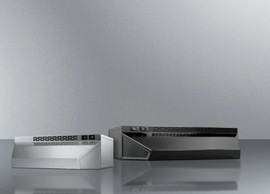 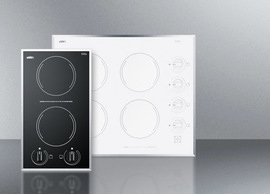 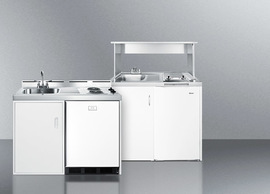 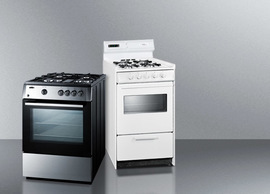 Made in North America, the FF1427W brings reliable quality to unique kitchen spaces. 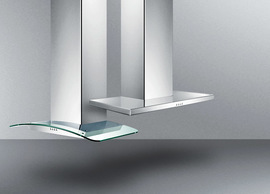 This unit features a user-reversible door swing for flexible placement. 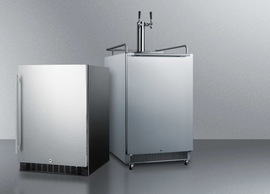 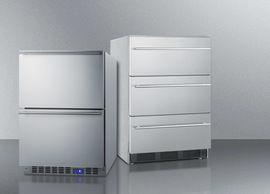 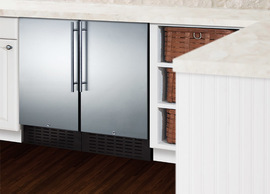 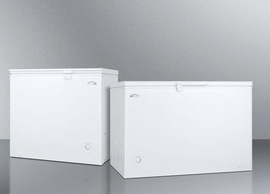 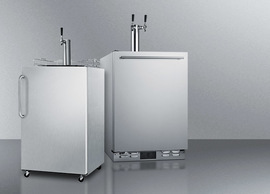 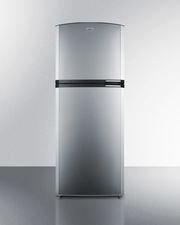 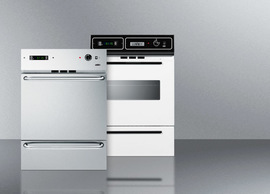 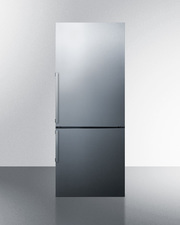 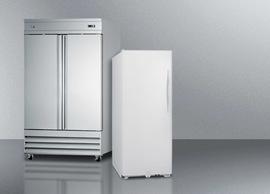 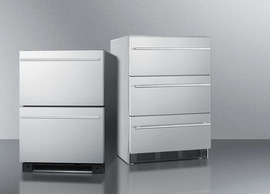 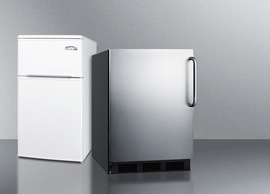 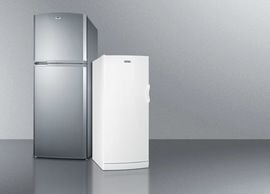 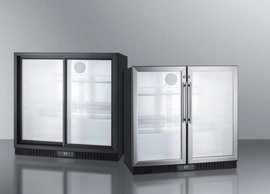 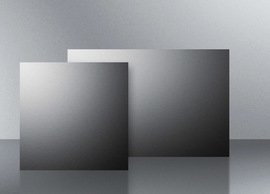 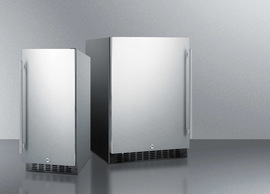 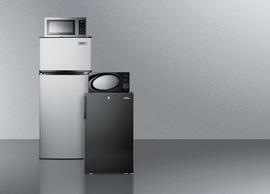 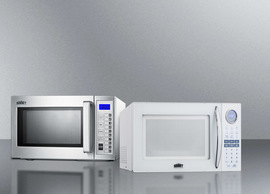 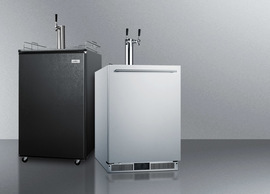 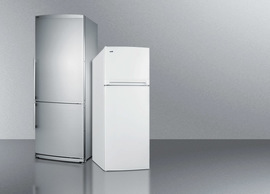 Additional choices are available in stainless steel, as well as bottom freezer configurations. 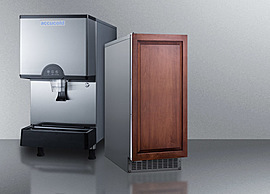 Browse Summit's online catalog for our full assortment. 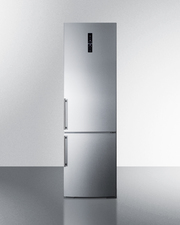 NOTE: Because of this unit's curved door style, the FF1427W requires an additional 1 1/2" of width to open the doors to a full 90º. 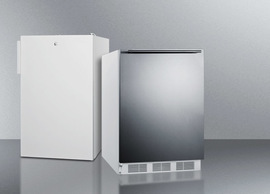 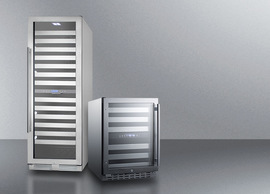 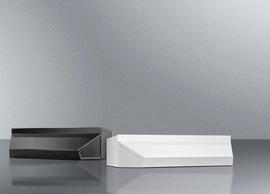 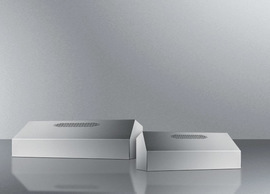 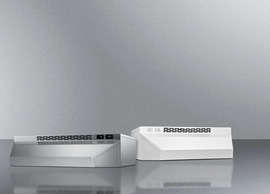 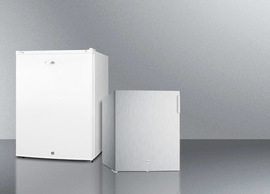 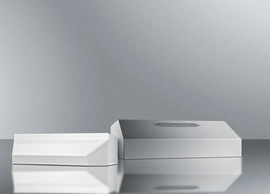 Download the product brochure to view the line drawings and ensure this unit fits your space.